It has been about sixteen months since I first reviewed Batch 9000 by Bell’s Brewery, Inc.. Since then Batch 10,000 has come and gone. Bell’s has also scrapped the “Batch” series of beers going forward. They produce so much damn American craft beer that it wasn’t taking them all that long between 1000th releases. Batch 9000 has aged admirably with a lot of the licorice fading into a nice chocolate. The alcohol is still there and a little abrasive until the palate finds solace after a few sips. I have a few more left in the cellar so it will be interesting to see how this beer continues to develop. Enjoy! Useless Fact: In 1920 Socialist Eugene Debs received 920,000 votes for president of the United States. Yet he ran his entire campaign while in jail. Tags: american craft beer, bell's batch 9000, bell's brewery, inc. I have had Bell’s 25th Anniversary when Rich and I were at the Bell’s 25th Anniversary celebration and we stopped at the brewpub in Kalamazoo, MI. The beer on tap was quite delicious. While on the self-guided tour of the brewery that day, we talked to one of the staff members who called 25th Anniversary “an amber with some extra.” It is definitely that. The beer pours clear and amber in color with a nice helping of tan, frothy foam on top. Retention is about average with minimal lacing. The aroma and taste are built on a mound of malt: caramel and toffee specifically. There is also a bountiful hop additions: tropical fruit with touches of pine and citrus. Vanilla, dark fruits, hop resin, and alcohol can all be found in this amazingly complex beer. A slightly viscous, big bodies beer has a zesty carbonation that just adds to the appreciation of this beer. More than I expected each and every time I have this beer and I am glad I have had it on more than one occasion to get everything I could out. Also, the beer is well put together, so why not have more than one. Enjoy! Tags: american craft beer, bell's 25th anniversary, bell's brewing, inc. Sometimes Wednesday and a beer store visit seems to come quickly while other weeks it drags and it seems like I will never make it. This week was the former. Maybe I am counting down the days to my first official vacation of the year with great anticipation and everything else is just a side note. Yes, I lead a very exciting life. The pinnacle of my week was here and with the utmost anticipation I braved the cold wind and snow while driving the quarter of mile to the beer store from my place of employment. During the arduous jaunt my thoughts turned to what liquid goodness would be new and on the shelves this week: a big imperial stout or russian, an outstanding holiday beer, etc. roshe run suede femmes I was going through an imaginary catalog of beers as I did the JCPenney catalog when I was surfing for toys at Christmas time as a youngster. Through all the wonderment and potential amazement there was only one new beer. One beer that the beer store had never seen before. One beer that was suppose to keep the spark alive. One beer. Sparkling Ale by Bell’s Brewery, Inc.
My wife had asked (you know in the way wives ask but are actually demanding) that I not purchase beer as much anymore since I am brewing and plenty of home brew to partake. Well, not to be mean to the breweries but with the offerings this week, no problem. Matt, the beer buyer at the store, already told me that next week is just a retread: filling up the shelves with beer that has been sold already. Oh joy. Enjoy! Out Of Bounds Stout by Avery Brewing and Rye Stout by Bell’s Brewery, Inc. although both stouts had their own distinguishable take on the style. The bigger beer season is here and I can’t wait to continue to taste and review more stouts. Some bourbon oaked ones will only enhance the experience. Enjoy! Last night the two lucky guest stars were Bell’s Octoberfest by Bell’s Brewery, Inc. and Founders Harvest Ale by Founders Brewing Company. I am a little better than half way through the beers from Two Beer Dudes Oktoberfest gig. Bell’s Octoberfest by Bell’s Brewery, Inc. was first as I believed I would be in for a treat. I can’t say that I was completely dissatisfied by this beer but it didn’t live up to what I have come to expect from Bell’s Octoberfest by Bell’s. air max 90 Aroma and taste are of an average lager, nothing spectacular. I would have it again but wouldn’t be my first choice for Oktoberfest. 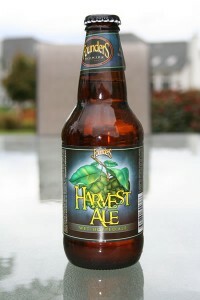 Founders Harvest Ale by Founders Brewing Company is an outstanding beer that can be easily enjoyed this time of the year. A large amount of hops is blended splendidly with malt as not to create much bitterness or after taste. Another beer that will makes it onto my annual purchase list. Maybe ten more beers to review. I have to say my palate will be looking forward to a change of pace away from all the spice and malt. Enjoy!